A lot of people do not understand and appreciate the importance of signage. As such, they are willing to approve any signage for their business or organisation. Some, to cut on costs, choose cheap signage makers thinking that it is a practical idea. But there is a huge difference between signage made by a professional and that made by an amateur. If you are not taking your signage seriously, it can backfire on you. 1. Your signage is a reflection of your company. According to Natalie Massenet, a successful self-made entrepreneur, one secret to a successful business is knowing that you only have one chance to make a first impression with clients, investors, and the public. This does not only apply to businesses. Whether it is for your business, an advocacy, or program, the design and quality of your signage would be the first thing that people would see. It will immediately convey your style, your identity, what you offer, and what your organisation is about. Your signage will determine the public’s first impression of your organisation. People will notice if your logo is mediocre, or if it is lazily designed or if the materials used are cheap, and judge you on those merits. So, to make a good first impression, you better let a professional sign maker do the job. 2. Your signage is an effective brand recognition tool. Studies on effective advertising technique have revealed that branding has a huge impact on customer engagement. Your signage must not only produce a positive first impression, it must also engage customers. Customers appreciate effective signage. It allows customers to find relevant information about the products and services offered by a business and lets them feel connected to the organisation. 3. Working with a professional signage maker will save you time. Managing a business or a project demands a lot from your time. With all your responsibilities, can you still create designs and templates for your signage? Maybe, but it will surely eat up your time. When you hire a professional signage maker, you can save time that is better spent on the key aspects of your business. Plus, professional signage makers can complete the task more efficiently and at a quicker pace. 4. It will allow you to save money without sacrificing the quality. Professional signage makers know how to work on a budget. From day one, they will determine the best signage that fits your budget while still maintaining a professional look. Plus, they are knowledgeable about the best cost-effective materials and designs. They can help you choose the best materials to choose for your desired results. 5. You will get the output you want. 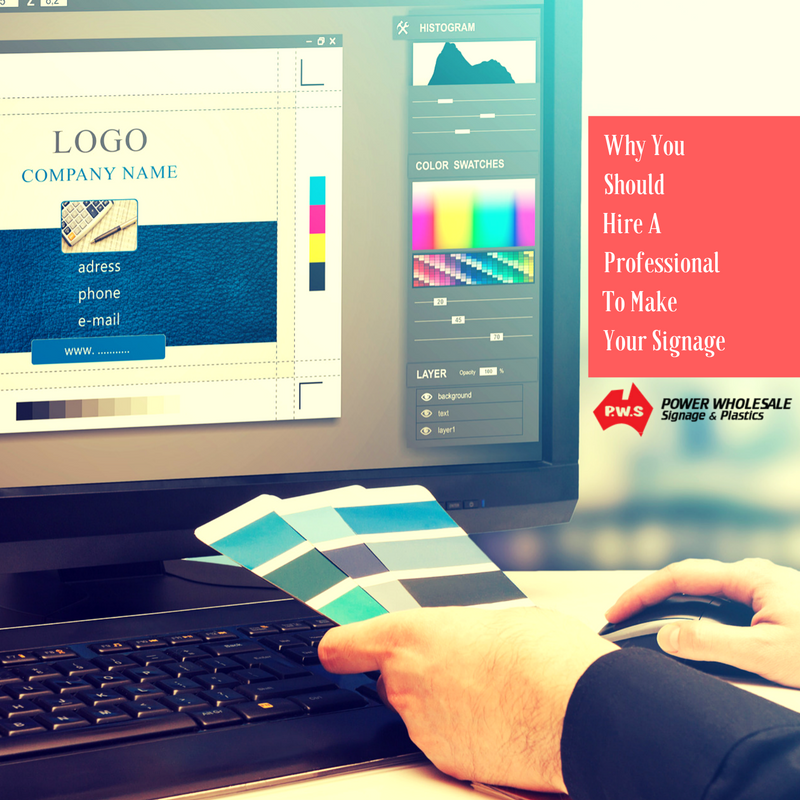 Most of the time, you have an idea on what you want for your signage Recommended Site. Even if not the specific details, you have a target response or a desired purpose for your signage. Just by listening to your instructions, a professional can convey your ideas and produce an output that will surely reflect your inputs. Professional signage makers can help create for you the signage you want in superior materials and in a skillful manner. What are the Benefits of Choosing an LED Message Board? © 2019 Power Wholesale Signage & Plastics. All Rights Reserved.